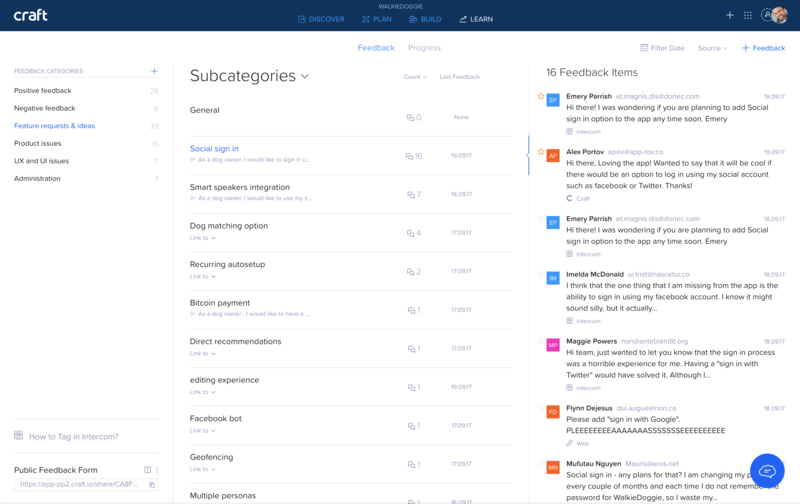 The feedback view is where you keep all of your customer feedback arranged in customizable categories and ready to be associated with your items. How do you get the feedback into Craft? Easy! 1. 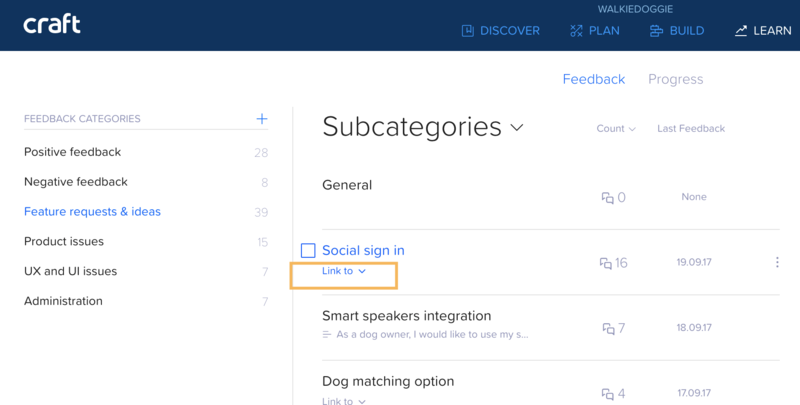 Sync with Intercom - To learn more on how to sync your feedback conversations from Intercom into Craft, click here. 2. 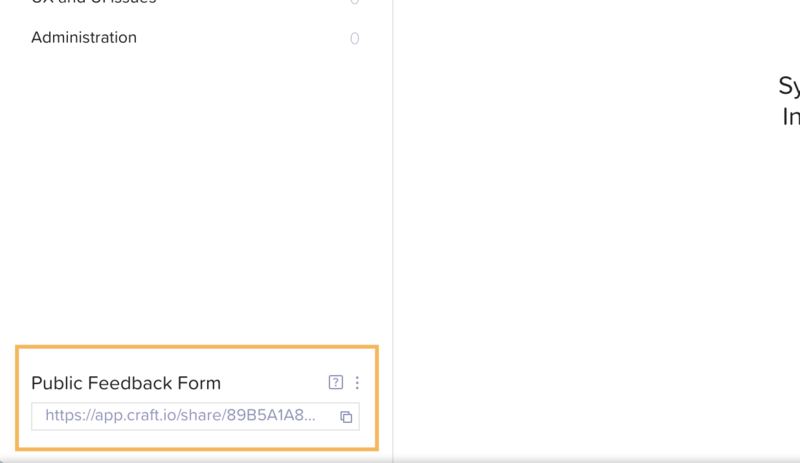 Share a link to a feedback form with you users and stakeholders. 3. Add a feedback manually. What else can you do with your feedback? A lot! Click on the Send Email button and you’re good to go. Not all feedback created the same. Put the most important feedback on top by clicking on the star next to the feedback item.